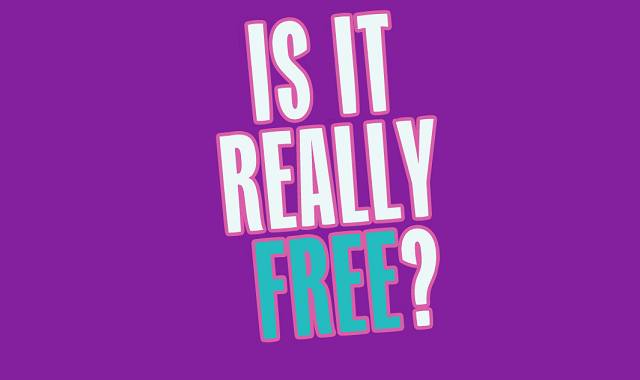 Is It Really Free? #Infographic ~ Visualistan '+g+"
With some many websites offering free stuff, freebies and free samples, its hard to know if the freebie you apply for is real or fake. So we have come up with an infographic to let you know if what you are going to apply for is free. WOW FreeStuff created this, as there are so many websites that offer free stuff which is actually a scam, and you never get free stuff in the post. There are also hidden scams that you need to look for, and we have come up with some rules that you will need to follow. Make sure you are never asked to purchase anything, and never give your card details. Never pay for anything, if its free then you never need to purchase nothing at all. If it says free trial, then eventually they are going to want to request some money, or charge your credit card, keep away. Is it a freebie or a competition? If they say win, then its most likely you will never receive whats advertised. Postage costs, if you have to pay this, then no its not free. If you follow the rules above, then you will receive a lot of amazing freebies.